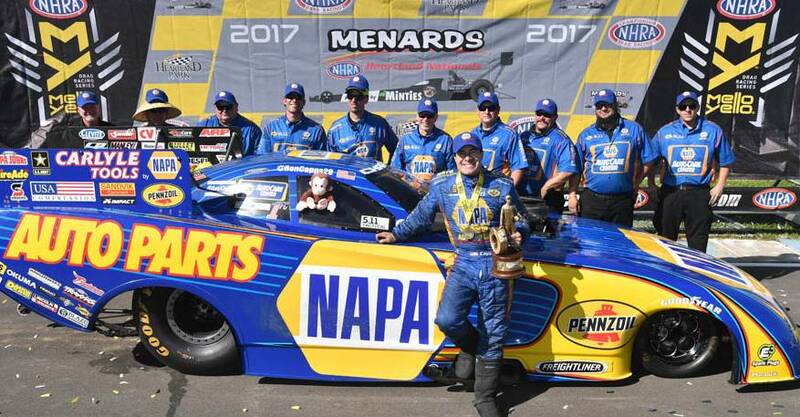 A risky decision by NAPA AUTO PARTS Funny Car crew chief Rahn Tobler paid off Sunday when driver Ron Capps won the NHRA Heartland Nationals at Topeka, Kan., his fourth consecutive NHRA Mello Yello Drag Racing Series title. 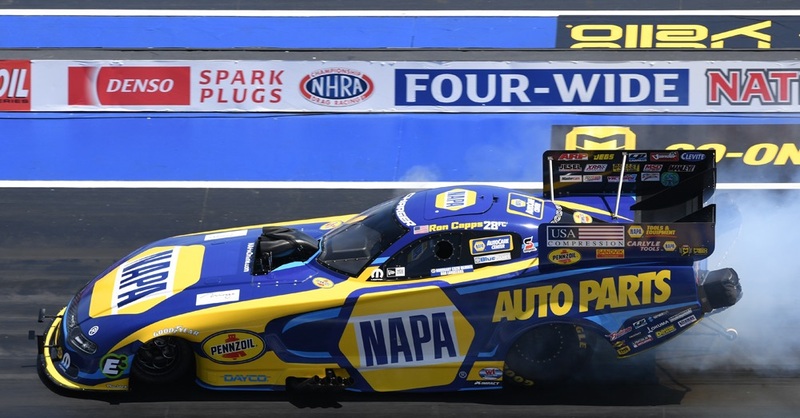 Capps’ 54th Funny Car win extends his championship points lead to 119 over Don Schumacher Racing teammate Matt Hagan, who set world records for time (3.802 seconds) and speed (338.85 mph) in qualifying before losing to Capps in the championship round. 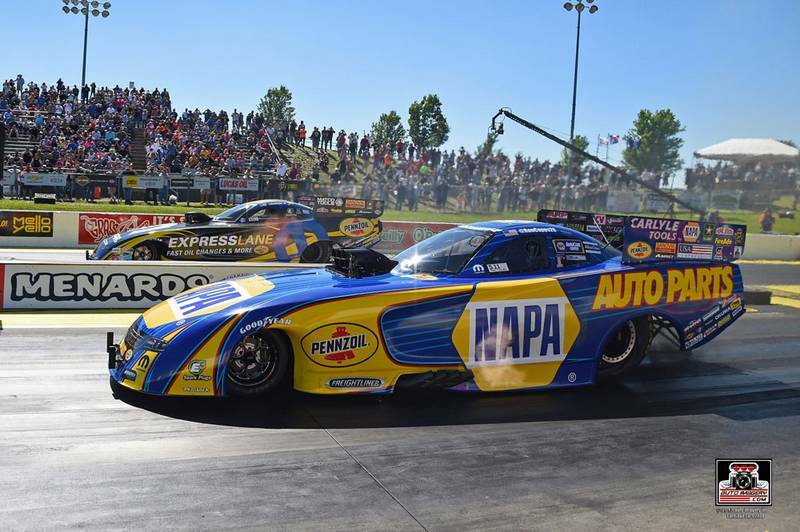 Capps has won 15 consecutive rounds and is the first to accomplish that since John Force in 2013. 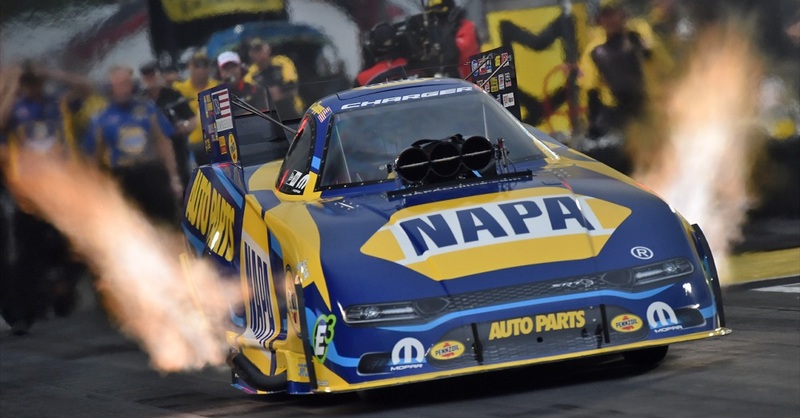 “Unbelievable,” said Capps, whose top speed of the weekend was 325 that paled to 338-mph runs by Hagan, Courtney Force and Robert Hight and each were beaten by Capps Sunday. 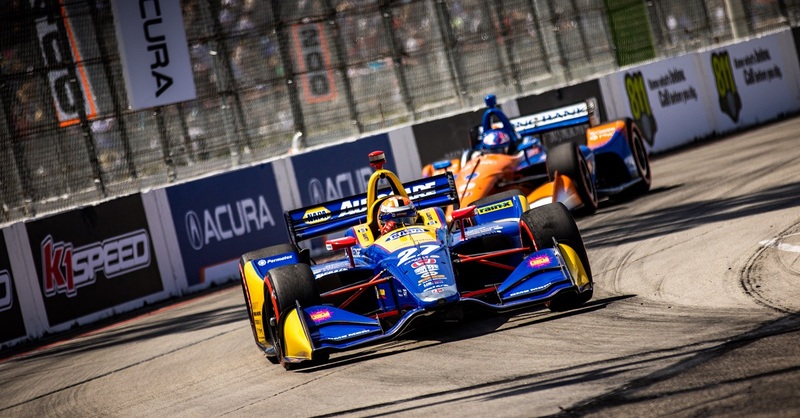 “We couldn’t go toe to toe with those guys but no one is better that Rahn Tobler on race day. 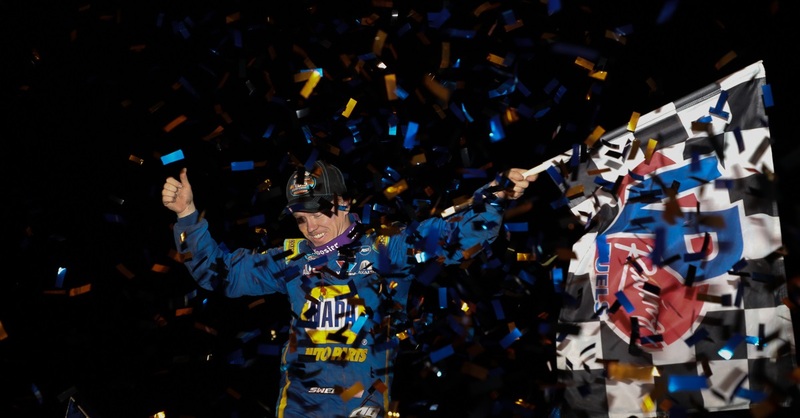 Those speeds are great, they’re great for headlines, (but) Mello Yello championships are won by E.T.s and especially race wins. 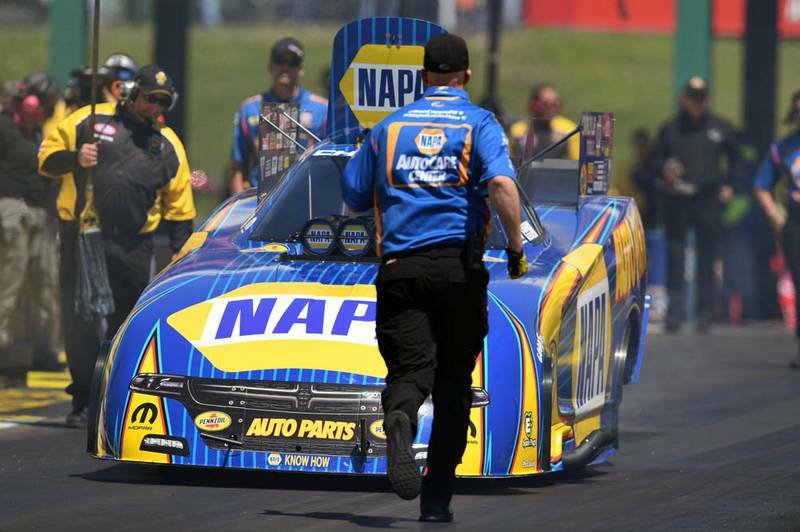 Capps, who qualified seventh, was surprised when he arrived at the track Sunday morning and Tobler was having his NAPA AutoCare crew change the fuel pump. 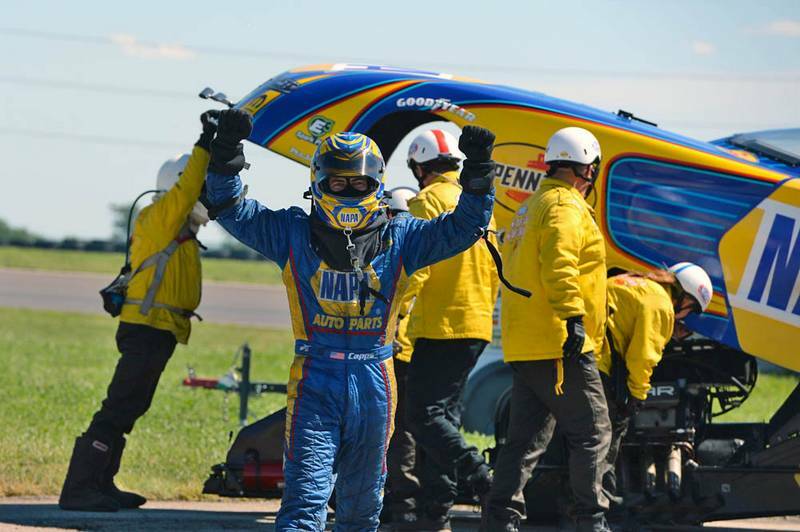 Next Race: June 2-4, New England Nationals, Epping, N.H.